Just look at that track listing! 69 love songs filling up three CDs reaching almost three hours in music. You might think that no one could make an album like this and still be consistently good throughout. And Stephin Merritt proves you wrong. At first it is all too much to take in, you start off by admiring the sheer scope of the album, the variety of musical forms, some of the wittiness of the songs, the way it tries never to bore you by shifting along, the tributes to other love songs, etc.. It is only around the third listen through that the songs gain individuality, you recognize them and you start having favourites. When this happens it is hard not to love the album. All the songs are pretty great, and you develop a certain affinity to the sense of humour in the album and you will of course like some songs better than others, the thing is there are so many to choose from this can be quite an overwhelming listening experience. I was really afraid of this album, three hours was always going to tire me... well it didn't and I am sad to see it go. Maybe it should be taken into account that it is wedged between Skunk Anansie and Incubus on one side and Travis and Slipknot on the other... hence these were really three hours of rest from crap each time it came on. Thank you Mr. Merritt. (I could probably select 20 more to go here). The album was originally conceived as a music revue. Stephin Merritt was sitting in a gay piano bar in Manhattan, listening to the pianist's interpretations of Stephen Sondheim songs, when he decided he ought to get into theatre music because he felt he had an aptitude for it. "I decided I'd write one hundred love songs as a way of introducing myself to the world. Then I realized how long that would be. 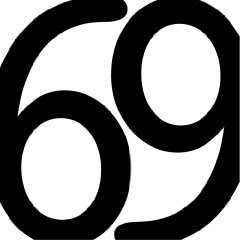 So I settled on sixty-nine. I'd have a theatrical revue with four drag queens. And whoever the audience liked best at the end of the night would get paid."